About a couple of weeks ago I had the pleasure to cruise the Saronic Gulf with "A dot in the blue". I am pretty much very familiar with boats and the sea, I can just live on a boat my whole life. My first vacation with a boat was when I was 20 days old on a family trip to Hydra & Spetses islands with my grandpas boat and so I was keep going since then. I was literally born and raised in the sea, but that was actually my first ever experience on a catamaran. Unfortunately we only had a couple of days on our disposal, so we had to go somewhere close to Athens. Luckily we have many beautiful islands around and we had a wonderful time! But let me tell you a bit more about "A Dot in the Blue". "A Dot in the Blue" creates fun events on board making all the participants relax, enjoy and have fun. 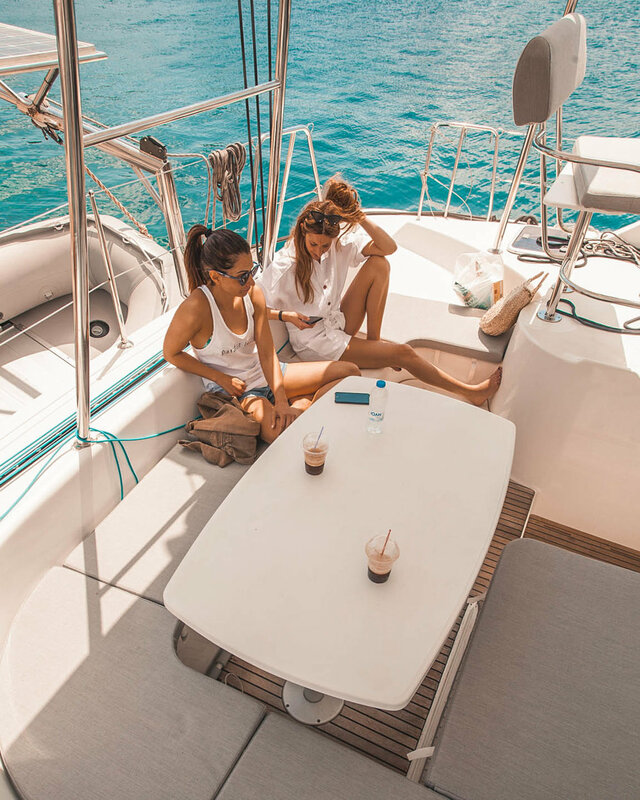 Their goal is to create a network of people who share the same way of living; enjoy meeting new people, sailing across Mediterranean islands having the chance to be introduced to new cultures and partying in isolated beaches under the stars and the moonlight. Check out their website and join them for an unforgettable experience!